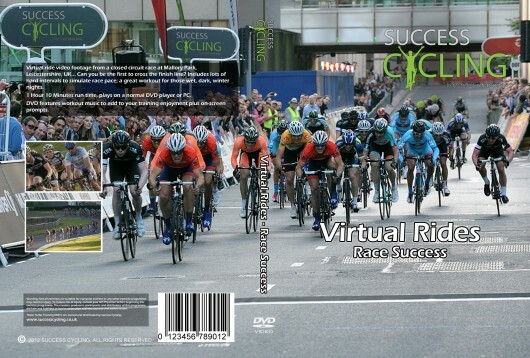 Virtual ride video footage from a closed circuit race at Mallory Park, Leicestershire, UK… Can you be the first to cross the finish line? Includes lots of hard intervals to simulate race pace; a great workout for those wet, dark, winter nights. Indoor Cycling workout with virtual ride video footage from a closed circuit race at Mallory Park, Leicestershire, UK… Can you be the first to cross the finish line? Includes lots of hard intervals to simulate race pace; a great workout for those wet, dark, winter nights. 1 Hour 10 Minutes run time, plays on a normal DVD player or PC. DVD features workout music to add to your training enjoyment plus on-screen training prompts.